Ta Ann is controlled by Taib’s close cousin and effective nominee, Hamed Sepawi, whereas WTK is a well-known crony company that has been convincingly identified as being responsible for the shocking 30 mile log jam along the Rajang River in 2010. The decision to brand the two massive companies as unethical was not taken lightly. Norway’s Council on Ethics began its investigations over a year ago and has produced two thorough and tightly argued reports that act as damning indictments against the destructive and illegal practises of both companies. Likewise, the report on WTK produces evidence of quite shocking environmental destruction in Sarawak’s steep jungle regions, which have caused some of the most serious damage to the country and its rivers in recent times. Both reports make clear that, for these pampered crony companies, the law and logging regulations are there to be ignored. After all, numerous members of the Taib family have shares in WTK. The comprehensive and official rejection by Norway of Ta Ann and WTK (and by implication the entire logging and plantation industry in Sarawak) puts the Sarawak Energy CEO and Norwegian national, Torstein Dale Sjotveit, in a bit of a pickle. Sjotveit has spent the last few years defending Taib’s ‘development’ and ‘modernisation’ policies to the hilt. However, his direct boss, the Chairman of Sarawak Energy is none other than Hamed Sepawi who is also the Chairman and major shareholder of Ta Ann. As Sjotveit sets about flooding out the Penan and Kenya from their homes via demonstrably unethical procedures in Murum, he must be wondering whether Norway’s strict ethical standards will start to be applied to his own activities in the state? transgressed norms and protocols in terms of hydro-power development, he has also condoned blatant corruption in the handing out of all the major contracts in Sarawak’s dam-building spree to Taib family firms. A special investigation into Torstein Dale Sjotveit by the Swiss NGO Bruno Manser Fund describes the Norwegian as being Complicit in Corruption. 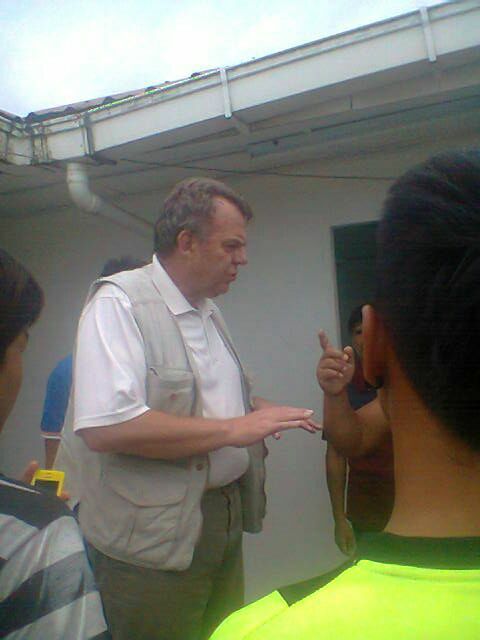 Norway has legal instruments for dealing with those of its citizens who are complicit in corruption abroad and while Sjotveit stands shouting at police for not being harsher on the reluctant Penan at Murum (who have yet to see satisfactory compensation arrangements) he must also be wishing his country’s spotlight had not fallen so heavily on Sarawak. Others who are put to shame by Norway’s ethical stance are the clique of self-interested politicians in Tasmania, who have refused to take note of Mr Hamed Sepawi’s appalling record of environmental destruction in Sarawak; his global corruption and his evident role as the key front man for the notorious Taib Mahmud. Likewise, certain pusillanimous environment organisations in that state have taken the position that it is not for them to care about Sepawi’s record in Sarawak, when considering whether to allow Sepawi to set up shop in Tasmania with a subsidiary of Ta Ann, which has already been caught out lying about its ‘eco-friendly’ credentials. Why? 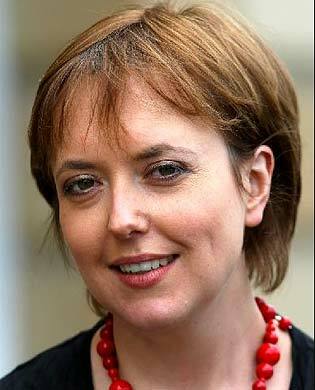 Tasmanian Premier Lara Giddings even went to Japan promoting Ta Ann’s laughable “eco” claims. 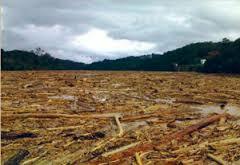 The powers that be in Tasmania have even taken a step further in its business arrangements with Sepawi, by allowing the domestic company Hydro-Tasmania to become embroiled in Taib’s insane mega-dam projects that are in the process of finishing off the rainforest destruction begun by logging and plantations. Sepawi is the Chairman of Sarawak Energy, which is borrowing billions in the name of the public to build these dams. And, as if to justify such thoughtless and unethical actions, for very little public benefit to Tasmanians, the Premier of the State herself has just returned from a trip to Japan, where she went to extreme efforts to encourage Japanese buyers, who had already blackballed Ta Ann’s products, for much the same reasons as Norway now has. The Malaysian timber giants linked to Taib have always proceeded along the same simple business plan of buying off the key politicians necessary to gain access to natural resources, be it Sarawak, Africa or even Australia. But, it seems that Tasmania has proved the cheapest of the lot to get on side after Hamed Sepawi bragged back in 2008 that he had carefully placed his two publicly subsidised saw mills in the constituencies of the then State Premier Paul Lennon and the Energy Minister, now Deputy Premier,Bryan Green. Ta Ann’s top Tasmanian champion, Paul Harriss, was also forced to admit he had enjoyed expenses paid trips to Sarawak courtesy of the company as well (all part of an above board fact finding visit, of course). Protestors have sought to highlight Ta Ann’s shameful background in Sarawak – but, unlike Norway, Tasmania’s establishment have maintained that Sarawak’s problems are not their business. 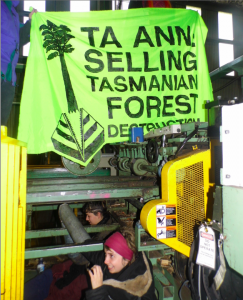 While Norway has written off Ta Ann and given good reasons for doing so, Tasmania has laid open its virgin forests to further destruction by the company and paid this wealthy firm Ta Ann millions in public subsidies on top for the privilege! In return, the politicians and ‘environmentalists’ sanctioning this so-called Forest Agreement have pointed to a handful of outdated jobs in the lumber industry and to an apparent peace settlement bought with a group of politicians who for reasons best known to themselves are vocal and passionate lobbyists for Ta Ann. The people of Sarawak deserve better support from Tasmania in their struggle to save their forests, not this unwarranted protection of a company which Norway has now methodically exposed as an unacceptable investment.